When it is time for home renovation and especially gutter replacement, choosing the right type ad quality of soffit and fascia are of utmost importance. This is so because these two parts, soffit and fascia are integral components of the gutter system of a house. Most obviously because, the fascia helps support the gutters of the house. 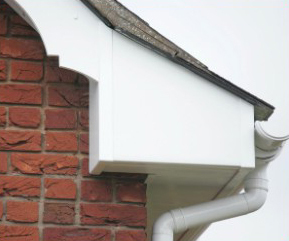 For quite a long time, wood was the all time favourite for fascia boards that are horizontal planks attached to the eavestrough, which are used to drain rain waters. Over the years, a more popular and better quality alternative is vinyl soffit and fascia. It is seemingly strong and a more durable with a longer lifespan. But at the same time, please keep in mind that any wood that is used under the vinyl fascia, would not be effective after five years, in which case replacement is the only option. Moreover, those regions where there are heavy rains or climates with high moisture density, the life span of wooden fascia board will not exceed 5 years. If your soffit and fascia and gutters are faulty, water will leak down the walls of your home causing flooding which will eventually go into your basement and can cause all sorts of issues including damage to furniture, foundation and mould! In which case you may need waterproofing services which can be costly. If you have a wet basement and are in need of a professional in Oakville or Mississauga Ontario our client Crackmaster is an experienced and recognizable name in Oakville and Mississauga when it comes to basement crack repair. We don’t only say this because they are our client, but because we have seen hundreds of reviews from happy customers, some of which you can see for yourself on homestars. 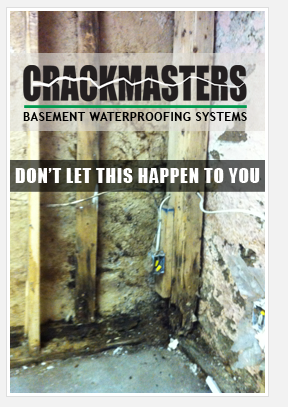 Crackmasters specialize in fixing up wet basements and in our opinion are leaders in wet basement repairs in Mississauga. In the recent times, the construction industry has come up with another type of fascia material that is now widely accepted and used. One of the reasons for its popularity is its durability and economy of use, time and space. This is called as Unplasticised Polyvinyl Chloride (UPVC). This material is used to manufacture soffits and fascia. Its usage is found to be heat resistant and has excellent thermal qualities as well. This means that it is ideal for extreme winter conditions. 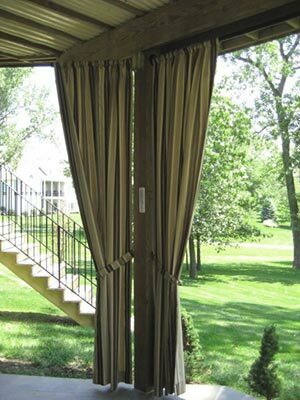 Its maintenance is easy and can be simply done with a wipe of a cloth, rather than removing and replacing or going through the entire process of arduous fixing. Therefore, this type of soffits and fascia are considered to be best retrofits for homes that are exposed to extreme weather conditions especially cold weathers. UPVC also has the ability to expand and contract, thus, making it flexible to adapt to different temperatures as well.